Overlooked by the betting public at 9-1, Accountable settled in behind track record holder Willisville initially and pressed the pace from second through first three fractions. Approaching the mile marker, Accountable stuck a head in front of the frontrunner and from that point on, never looked back. Willisville faded while Complete St. rallied into second at the top of the stretch and Jump Ship came on strong from sixth. Neither could catch Accountable though, who crossed in 2:31.40 over a soft turf course and rewarded his backers with a $21.20 win payout. Jump Ship took second and the resulting 4-1 exacta returned a handsome $97.10. 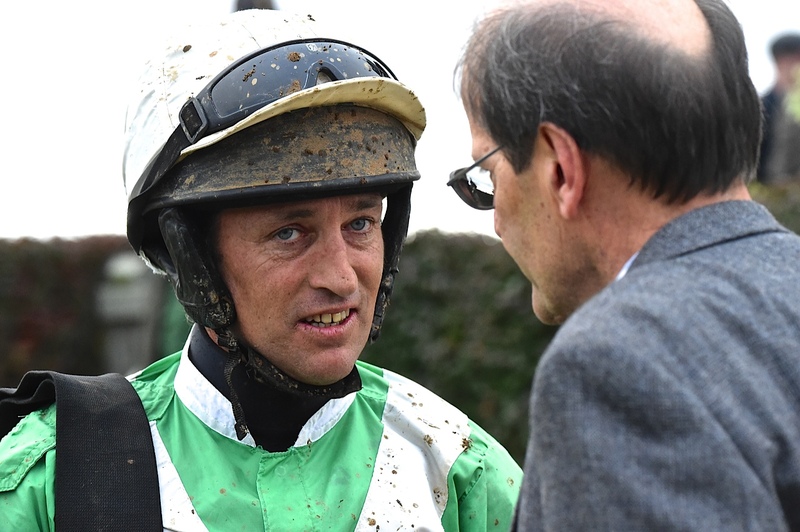 The winner was ridden by Ross Geraghty, who won the “Zeke” Ferguson Memorial Hurdle Handicap earlier in the day with Optimus Prime. 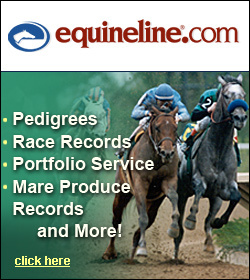 Accountable is out of the Seeking Daylight mare, Seeking Allie, and is owned/bred by Lady Olivia at Northcliff, LLC, based in Rixeyville, Virginia. Rider Ross Geraghty guided Accountable to his second victory at Great Meadow. Photo by Douglas Lees. Accountable’s three best performances from 13 career starts have come at Great Meadow. In his 2017 Old Dominion Championship victory, he sat last at the half and eighth at the three-quarter mark in a nine horse contest. Rider Michael Mitchell led a comeback charge up top and guided Accountable to his first lifetime score. At this past spring’s Gold Cup race card, Mitchell directed the Carla Morgan trainee to a solid third place finish in a similar allowance race. Runner-Up Jump Ship was bred by Althea Richards. The remaining finishers in order were Talk Less (Mrs. C. Oliver Iselin, III), Complete St. (Mede Cahaba Stable & Stud LLC), Officer’s Oath (Daybreak Stables), Envious Bid (Belinda Whitson) and Willisville (Mr. & Mrs. Bertram Firestone). 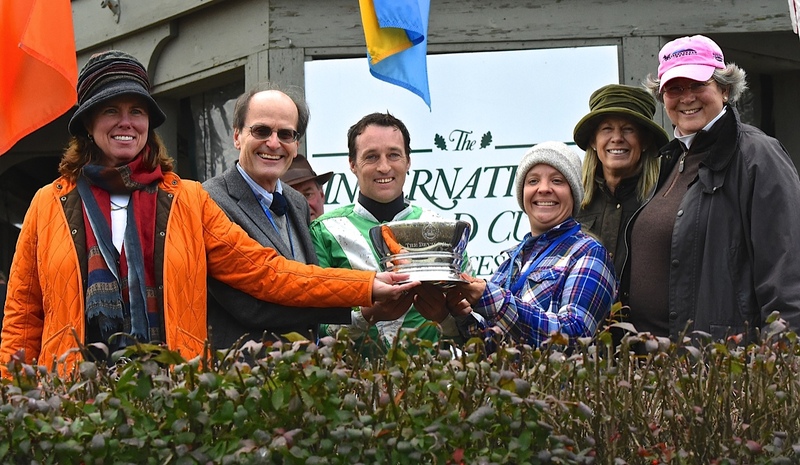 The Old Dominion Turf Championship trophy was presented to owner/breeder, Lady Olivia at Northcliff. Photo courtesy of Douglas Lees. 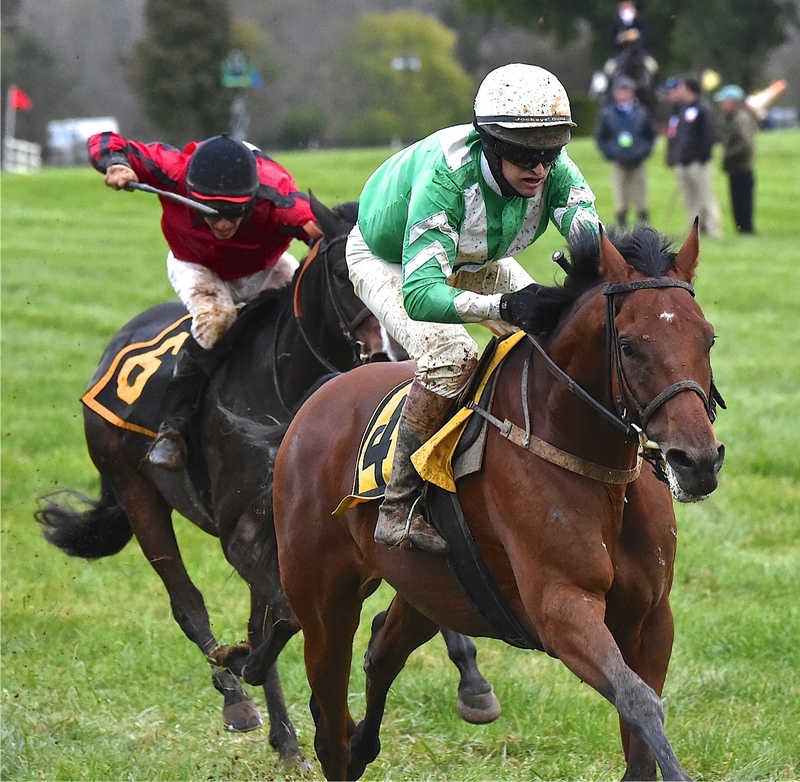 The Old Dominion Turf Championship closed out the 81st International Gold Cup card which featured a combination of eight steeplechase and flat races. A steady rain blanketed the area Friday night and continued until just before the races began on Saturday.